If someone asks you what the most terrifying species on the planet is, there’s a good chance that sharks will be the answer. Although there are plenty of shark attacks recorded each year, with 88 attacks recorded worldwide in 2017, not all sharks are aggressive. As you’ll learn, humans are a bigger threat to sharks than the other way around. And many of these threatened species need our help to survive. From the deadliest sharks to the totally non-threatening, here are all the shark facts you need to freak out your friends. 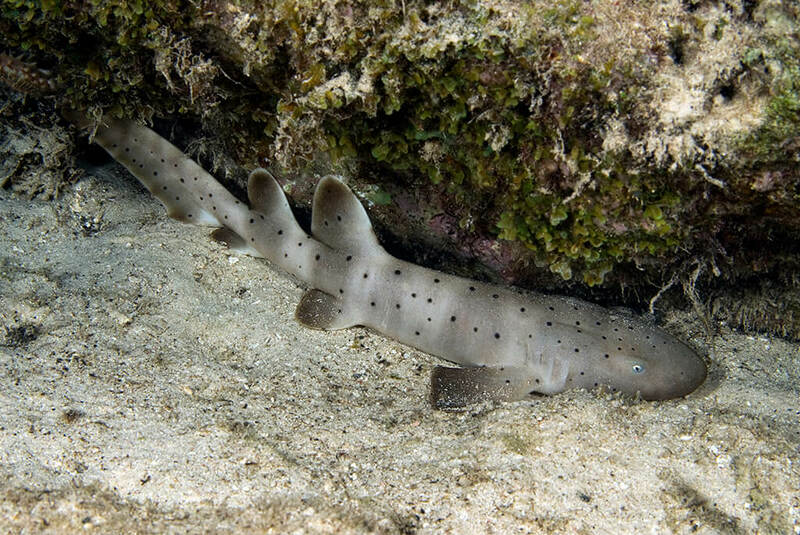 The third shark species on this list is so laid back, they have trouble attracting their mate. 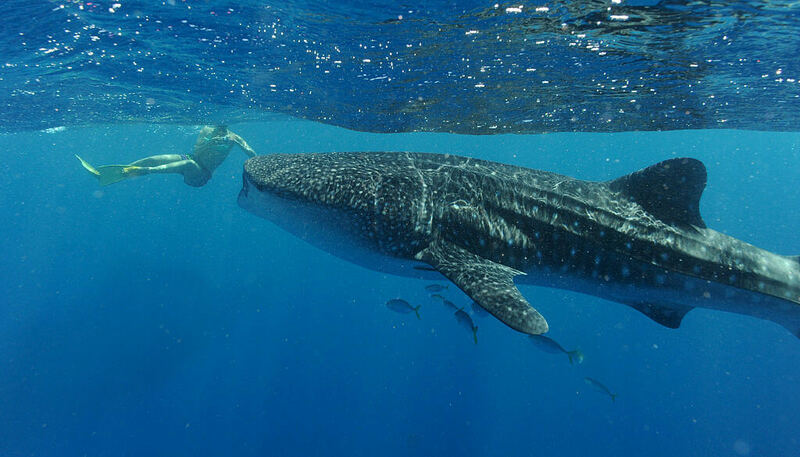 We often think of sharks as terrifying and deadly creatures, so the whale shark usually gets a bad rap. But are they any threat to humans at all? Not really. In fact, they’ll happily swim alongside divers who grab their fin and take photos. Whale sharks are the largest sharks in the ocean, but as filter feeders, they’re just interested in snacking on small plankton and krill as they swim along. Without interference, they live between 70 and 100 years. So which shark is deadly? The diet of the tiger shark includes a lot of variety. They’re known to eat fish, birds, turtles, sea snakes, and dolphins. Sometimes, they even eat other, smaller sharks. For this reason, they’re involved in many attacks on humans in the water. Only the great white is responsible for more attacks. 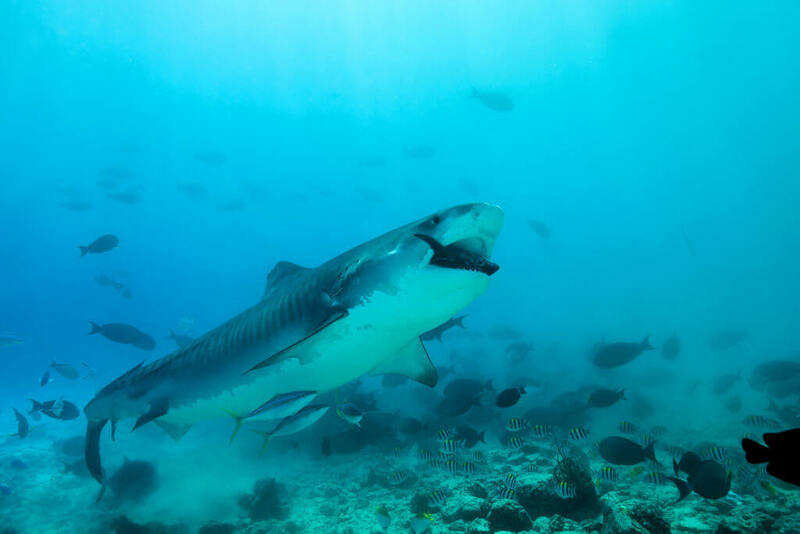 The tiger shark is typically 10 to 13 feet long and can weigh 2,000 pounds. Their teeth are brutally sharp, making this species especially terrifying. With so many sharks killed each year by fisherman, researchers dedicate a great amount of time studying shark’s breeding habits. If they can protect their breeding grounds and help them mate, the species has a better chance of surviving. However, they noticed one thing about nurse sharks. When observing them, researchers found that female nurse sharks are particular about who they mate with. 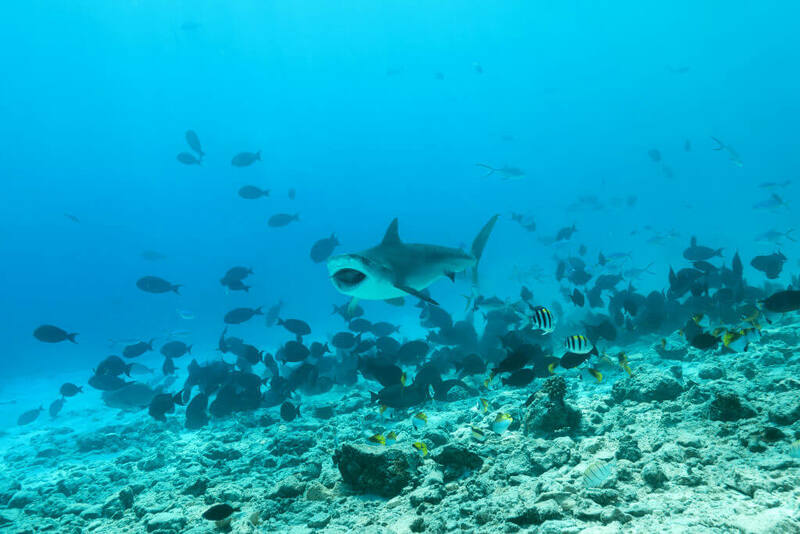 Even if they come across a male nurse shark, and the environment and timing seem right, the nurse shark might not be feeling it. They’ve been seen brushing off, avoiding, and blocking mates they’re not interested in. Sorry, not sorry. It doesn’t help that the nurse shark is pretty lazy, to be honest. Although they have the appearance of a shark, nurse sharks rarely lash out at humans or confuse them for food. They mostly chill on the bottom of the sea floor and wait for their food to come to them. If the diver swims up and prods the animal, however, that’s on them. In fact, nurse sharks are so chill the species is being threatened, as they’re often caught by accident as fishers pull in nets with other fish. You’ve probably never heard of the next shark, and it’s absolutely horrifying. Okay, hands down this is one of the most terrifying creatures you’ve ever seen. This beast is called the goblin shark, and luckily for us, he lives in the deep, deep ocean, far away from the surface you’re swimming around. This species of shark is 125 million years old and can be bigger than 13 feet long. Although they’ve survived this long, they aren’t very fast. They have to sneak up on their prey, rather than chase and attack it. 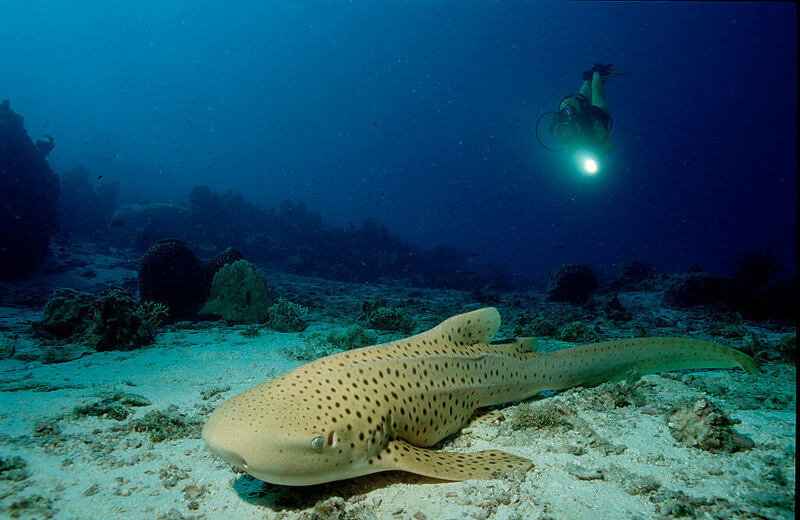 Do you know which shark species was the first to make the endangered species list? 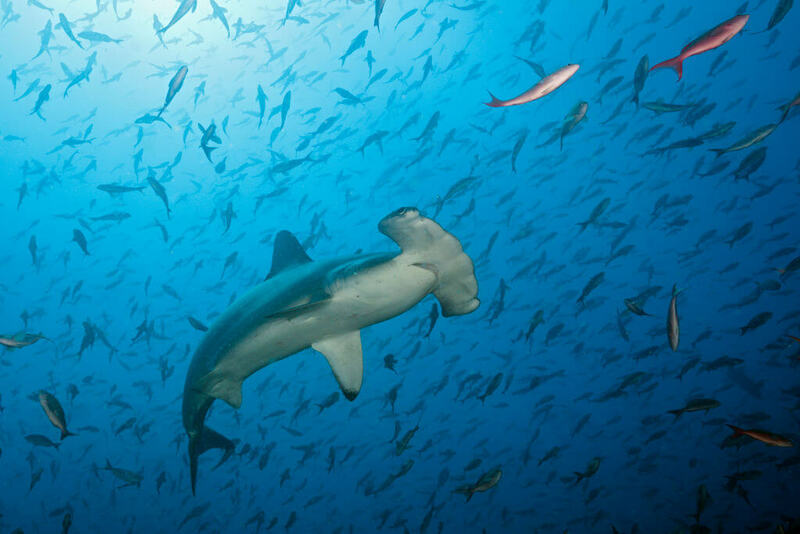 In 2014, scalloped hammerhead sharks became the first shark species to make the U.S. Endangered Species list. These sharks live in temperate and tropical water in places like the Mediterranean Sea and South Africa. They migrate in groups, where many are captured for their meat and prized fins. They stress easily and can die from the traumatic experience of being caught by a fisherman, even when released. If you enter the Pacific Ocean on the west coast of the U.S., you’ve probably seen the next species of shark. Named after their spotted bodies, leopard sharks are common in the shallow water around kelp in reefs on the west coast of the U.S. and Mexico. They feed on crabs, shrimp, eggs, and worms, and won’t attack humans. This species is between 3 and 5 feet long and they prefer to live in water that’s warmer than 54 degrees and cooler than 75. They often hang out around the surf and lay on the ocean floor between rocks. Which U.S. state do you think has the most shark attacks? Some of the toughest sharks on the planet will fall asleep and be unable to move if they’re flipped upside down. 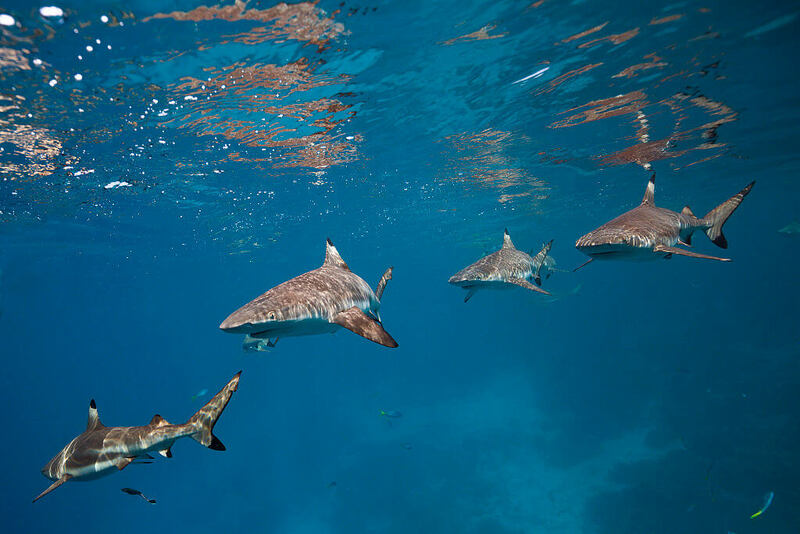 This is not a myth, researchers have found that tiger sharks, sandbar sharks, reef sharks and others will go into tonic immobility if their body is flipped upside down. During this time their muscles relax, their breathing slows, and they go into a trance, almost as if they’re hypnotized. This can last up to 15 minutes. Scientists theorize that the reason their bodies respond this way is related to mating. 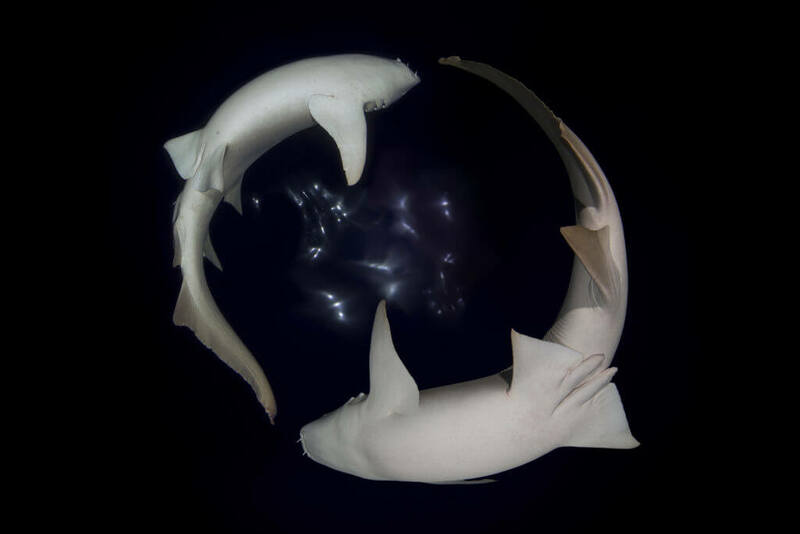 The mating and reproduction of sharks is unique. Female sharks are able to store sperm from multiple male sharks and have their pups at the same time. Instead of penises, sharks have claspers. And instead of one, they have two. Although they have two claspers, they can only use one at a time. Once inside the female’s cloaca, they have little spurs that lock into place. Sharks also bite while mating. Luckily, females are born with thicker skin than males. Hopefully, that helps a little bit because that’s got to hurt! 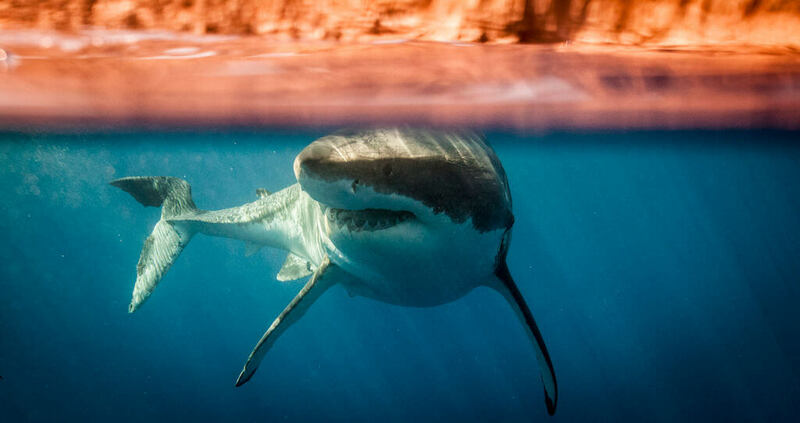 However scary they may seem, great white sharks play an important role in the ocean’s ecosystem. Without them, other species will become overpopulated, while others disappear, too. 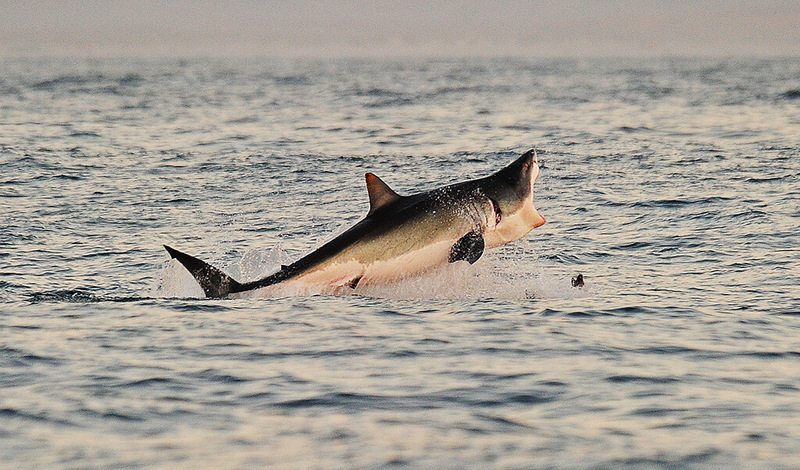 Great white sharks feed on seals, which eat salmon. 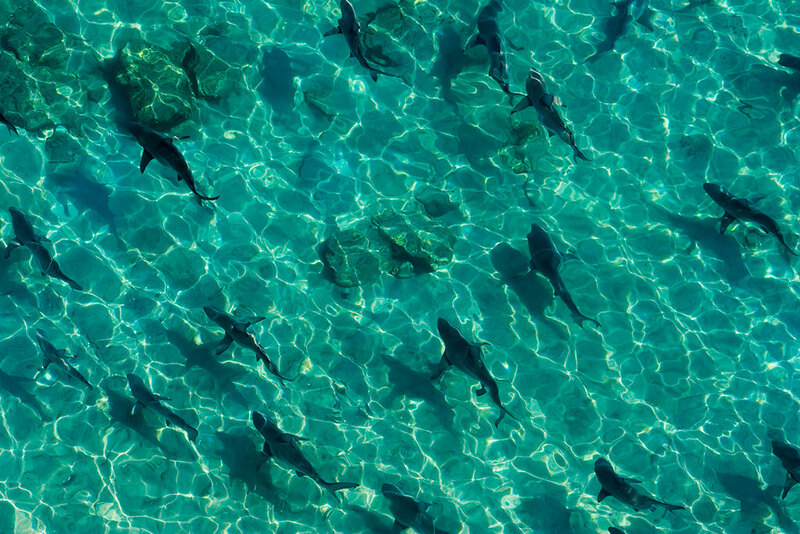 As the shark population decreases, the seal population massively increases. This means salmon and other fish will be eliminated by the seals. So next time you think about wanting all of the sharks in the ocean to go away, think about everything else you love that will disappear too. Every once in a while you see an animal that really can’t defend itself and you think, how have you survived this long? Not sharks, though. It’s clear these predators can take care of themselves, and that’s why they’ve been around for as long as they have. We know sharks have been around for at least 420 million years. Each species has evolved to adapt to their environment. In fact, their backs used to have prongs for defense. They outlived the dinosaurs by far. Let’s hope humans don’t kill them off for good. Sharks’ greatest weapon is their teeth. Because they don’t eat plants, their teeth are absolutely insane, designed specifically for digging into meat and blubber and shredding it. If their teeth were flat and dull, it’d be impossible for them to eat and survive. Luckily for them, their teeth regularly fall out and regrow. Unlike human teeth, sharks’ teeth attach to their jaw by soft tissue. 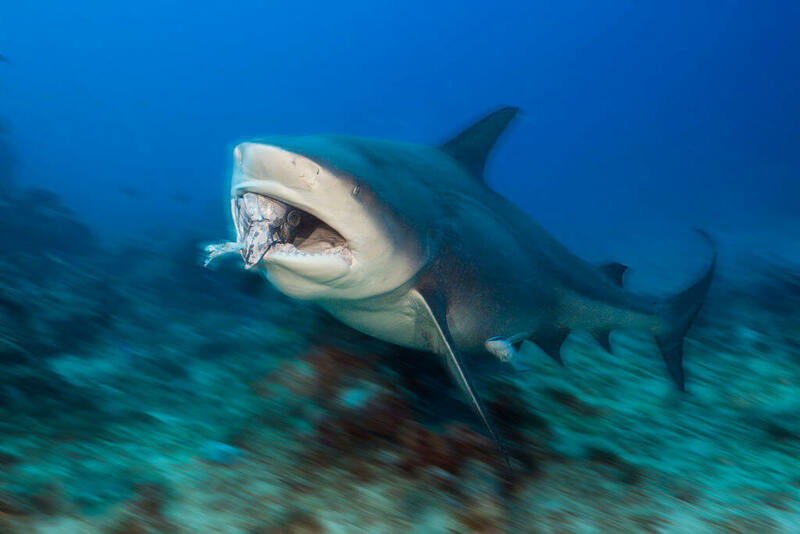 Researchers learn a lot about sharks through their teeth. You’d be a little aggressive too if you had to fend for yourself your entire life. 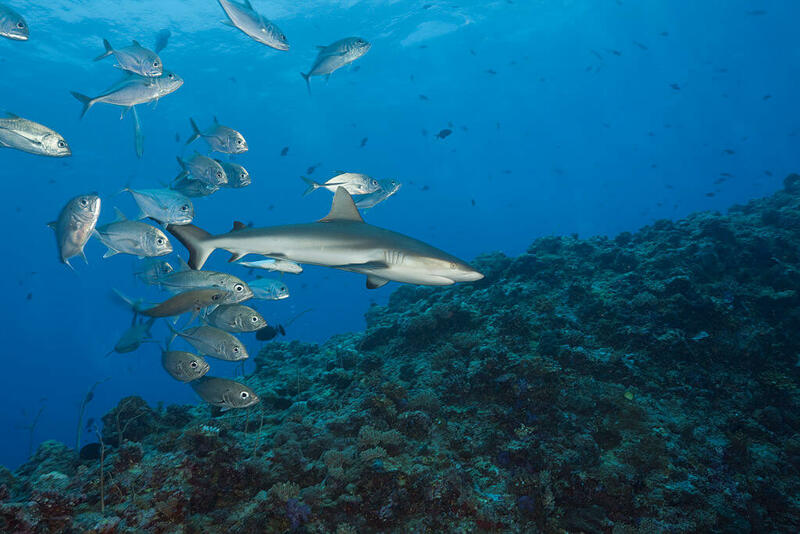 When the female shark gives birth, or in some cases, lays her eggs, she picks a shallow, protected area like mangrove trees. This helps hide the pups from predators. The next fact about baby sharks is pretty brutal. Sand tiger sharks are on a whole other level when it comes to sibling rivalry. 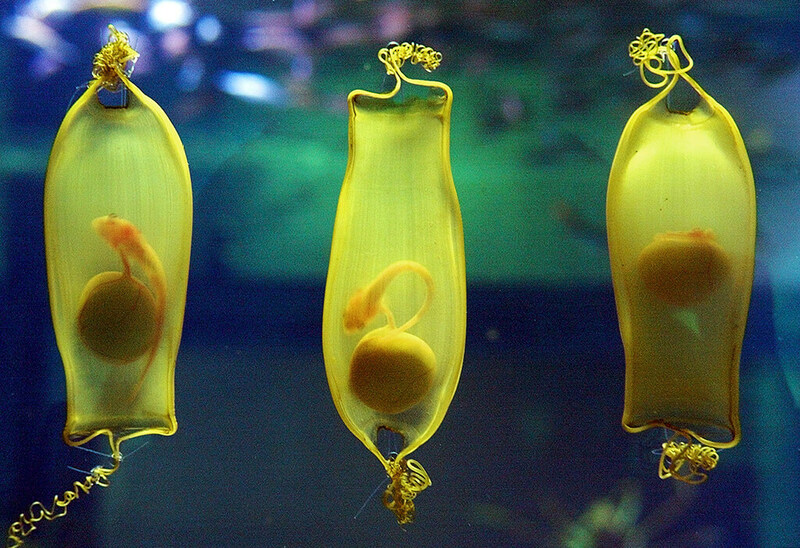 Before they even come out of the womb, baby sharks are fully developed. And they’re already aggressive, too. This species often see sharks eat each other in the womb before they’re even born. This is called intrauterine cannibalization and it’s usually the oldest sibling that begins eating others. This is also why sharks have small litters. Animals communicate to mate, to warn others of predators, and to defend their food. According to University of Missouri professor Johannes Schul, sharks communicate with each other by arching their bodies. They also use their lateral line to feel vibrations and understand their surroundings. Sharks have a good sense of smell and use this to find prey and mates. Female scalloped hammerhead sharks have been seen using a cork-screw technique to edge out other females and get a better spot in the school. In some parts of the ocean, dolphins and sharks clash. Often times it’s the shark who instigates the fight, leaving the dolphin to defend itself. Most times, the shark will be the bigger fighter, but dolphins are faster and can get away. 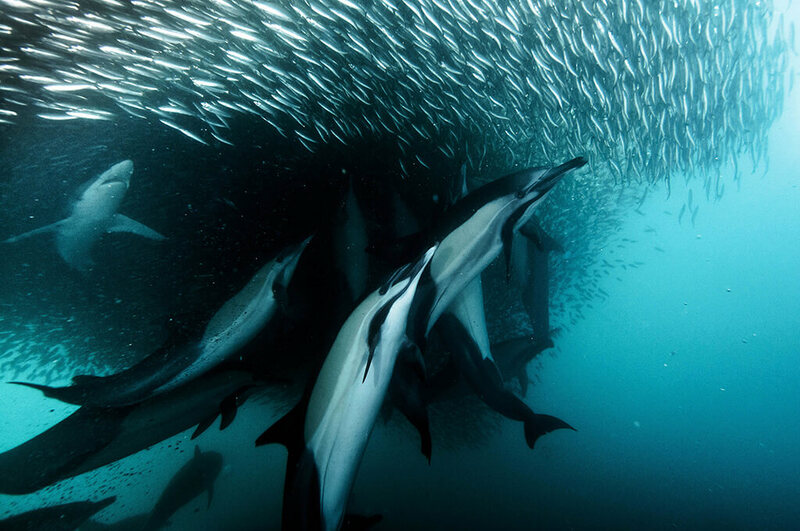 Dolphins also travel in pods and their friends and family will step in and help defend them. Not only are dolphins faster, but they’re smarter too. They don’t put themselves into dangerous situations where sharks are around in the first place. In 2017 there were 31 shark attacks in the state of Florida. All of these shark attacks were unprovoked, but the good news is that none of them were fatal. With 88 attacks worldwide in 2017, Florida is home to about a third of them, according to Sun Sentinel. The number of attacks has been steadily increasing since 2011. 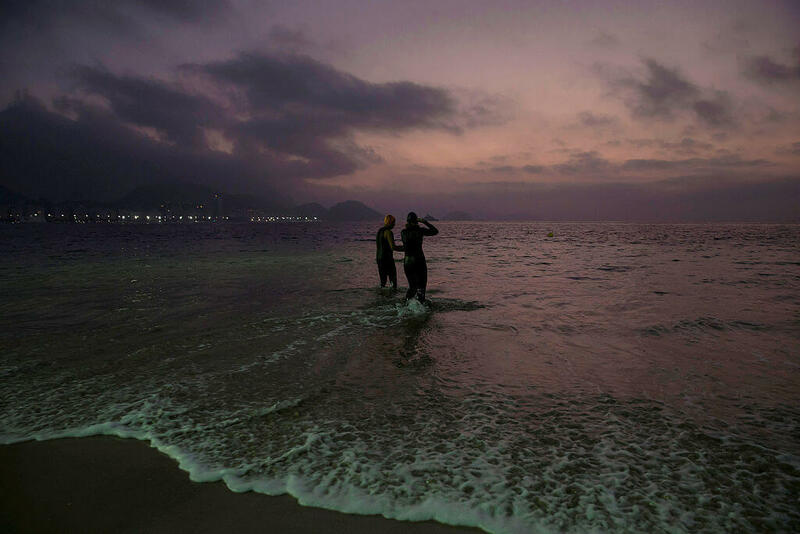 Researchers say it mostly has to do with the fact that there are more tourists going into the water, increasing the risk that someone is going to be attacked. Next, how the Florida Museum recommends preventing attacks. Most of the time when humans are attacked by sharks, it’s because the shark mistakes the human for a seal or other food. Once they bite the person and realize they’re not what they thought they were, they let go and move on. There are a few things people can do to avoid being mistaken for shark food. Sharks like to cruise at dawn and dusk. Avoid going into the water during these times. Also avoid shiny jewelry, schools of fish they may be chasing, and areas where the ocean floor drops off. That’s where they like to hang out. So what happens if you’re attacked? 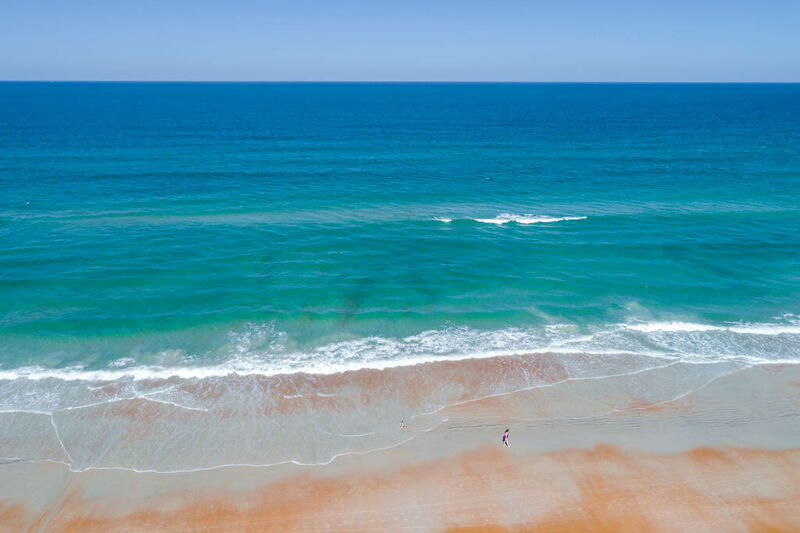 First of all, if you see a shark, or think there’s a chance one is nearby in the water you’re in, it’s imperative to get out as quickly as possible. A group of surfers is safer than a lone swimmer, but shark attacks vary and everyone should always be alert. If the shark approaches, you can punch it in the nose as hard as possible to scare it off, as this is a sensitive spot on the shark. If that’s not an option, putting a surfboard or other object between yourself and the shark can offer the chance they’ll bite the board instead. If you get bit, call the attention of others to help get you to the shore immediately, and use a surf leash or clothing to tie off the area and stop the bleeding. There’s a way to put the shark to sleep without hurting it… do you know what that is? In the 1980s researchers believed that great white sharks eat around 66 pounds of food to last them six weeks. However, they vastly underestimated the world’s largest predatory fish. In fact, according to research completed at the University of Tasmania, they eat three-to-four times more than previously thought. 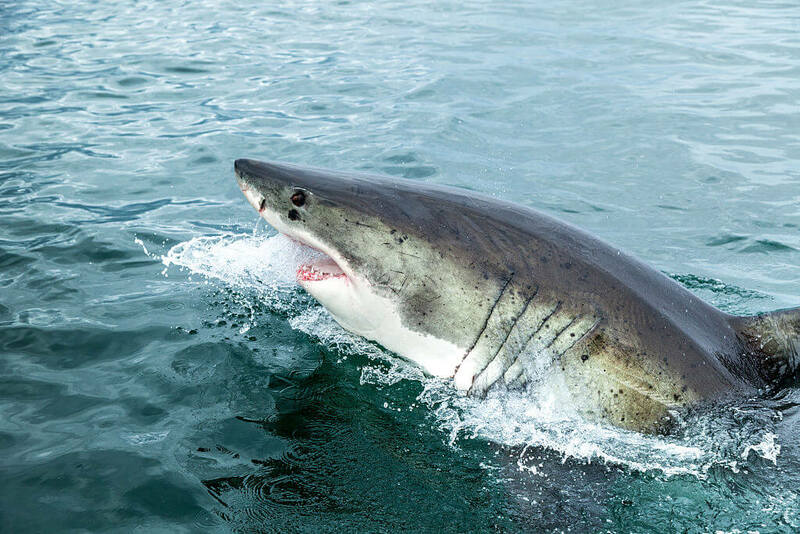 This means great white sharks are hunting down seals every few days, and regularly consume around 230 pounds of mammal blubber every six weeks.